How to purchase, prepare + enjoy grass-fed beef can be a bit of a mystery. But it doesn’t have to be. 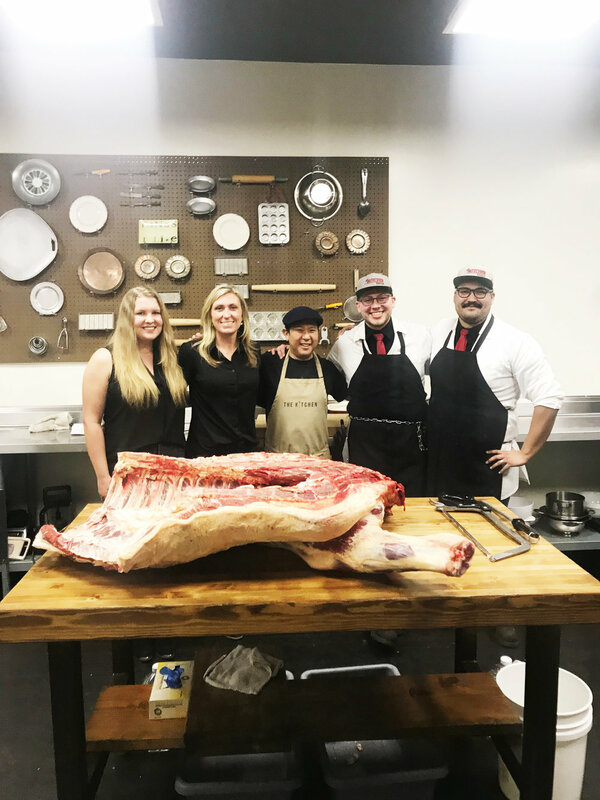 We partnered with our friends at The Butcher Shop in Tehachapi, CA and Chef Richard from The Kitchen in Bakersfield, CA to live butcher a beef share, cook up some delicious beef-centric dishes + answer all your questions about Redhouse grass-fed, grass-finished beef. Couldn’t make it to the event? We’ve got you covered. Scroll down to check out the Rancher, the Butcher + the Chef’s answers to your most frequently asked questions. Q: Grass rotation. Why does Redhouse do this and why is it important for the cattle? A: Grass, in general, is so important to our land and our cattle. An animal really is what it eats. So here at Redhouse we are very conscious of the grass we produce (we like to call it the Salad Bar). We want our grass and pastures to mimic cow’s natural grazing habits. By using a grass rotation pattern we can thoughtfully steward both the land and the animal. We want to make sure our pastures have the right number of cows at the right time to ensure proper natural fertilization and adequate rest time. By choosing nutrient-rich grass, following it’s life cycle by alternating times of grazing and rest + providing a calm, low stress environment, we can produce a high-quality product. Q: You talk about humane and holistic treatment of the animal. What does this really mean? A: It means we are in full control of the life-cycle of our beef. From the genetics of our cattle to the grass they eat to the calm, natural environment they enjoy, we honor the traditions of ranching and our wonderful Central Valley land. We select and use the best so our herd can live their best life and our customers can receive the best product. We value feeding families. We want to produce healthy, sustainable beef for others to enjoy. Q: Love that you are a female rancher! What made you start Redhouse? My family’s autoimmune issues started our journey into paying more attention to what we eat. The more I researched, the more connections I found between food and inflammation. The importance of what we eat and how it’s grown kept popping up, so I continued studying more about what I was feeding my family. As I dove into the components of diet and how critical animal fats are for people with autoimmune disease, I also discovered the importance of the quality of those animal fats and protein. I then learned about how much an animal’s diet influences its fat makeup, so pasture-raised and grass-finished animals became important for us. It takes time to begin to find good sources. That was a big journey for me. More and more people in the agriculture community are becoming aware of what’s needed and providing it, especially in California, but sourcing quality ingredients was still a challenge. Q: What is the difference between the hindquarter and the forequarter of the cow? A: Basically, the forequarter is the front of the cow and the hindquarter is the back of the cow. But let’s break it down a bit further. First, the cow is split through the backbone. Next, each side is divided into forequarter and hindquarter, giving a total for 4 large sections (hence the use of “quarter”). From there, the beef is divided into primal cuts—large sections like chuck, rib + sirloin. Then the beef can be broken down even further into sub-primals, or “restaurant cuts”, such as filet mignon and ribeye. Q: What are the most tender cuts of beef? A: We like to tell customers to remember this share of beef was once a working animal. Muscles that are worked the most (legs, shoulders) will produce a tougher cut—think brisket and flank. Still delicious, just require a different method of cooking to help break down that tough muscle. The most tender cuts of beef, like ribs and tenderloin, are found furthest away from those hard-working muscle groups. Q: What are your top tips for cooking grass-fed beef? 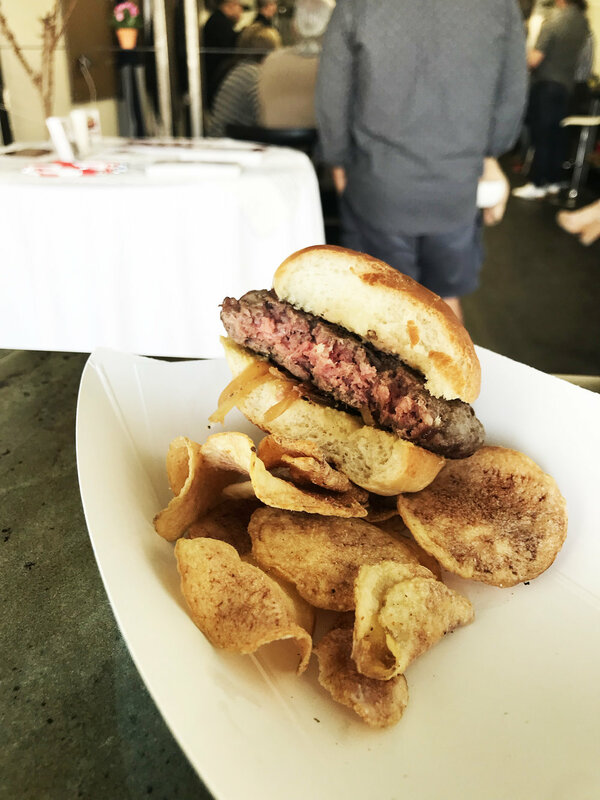 A. Grass-fed beef, especially beef thoughtfully grown and harvested, can have such incredible natural flavor. I do have a few tips to helping the home chef create a truly remarkable meal using grass-fed beef. Flavor and Spice - Grass-fed beef is delicious on its own but it also lends itself well to simple, fresh marinades and spice rubs. I always recommend using your favorite lager or a simple rub. Hot and Fast - Grass-fed beef cooks about 30% faster than grain-fed beef. Redhouse beef is ideally eaten at medium-rare. If you prefer well-done beef, a slow cooker with a sauce is recommended to keep beef moist and tender. A meat thermometer is a great tool for any home chef and a perfect way to test doneness of grass-fed beef. Rest and Serve - Let your beef rest for 10 minutes before serving to help redistribute the juices. Remember to always use tongs, not forks, to serve. Q: Any inside secrets to making juicy grass-fed burgers for a crowd? A. I love this question! I am a big believer in the reverse sear method and this is especially great when cooking for a crowd. Once you have formed and seasoned (salt and pepper only, please!) your burgers, cook first on low, indirect heat. This can be on the grill or even in your oven! After the burger is about 90% done, move it to high heat to sear for 1-2 minutes on each side. This reverse-searing method prevents overcooked, charred burgers—especially important when cooking grass-fed beef.